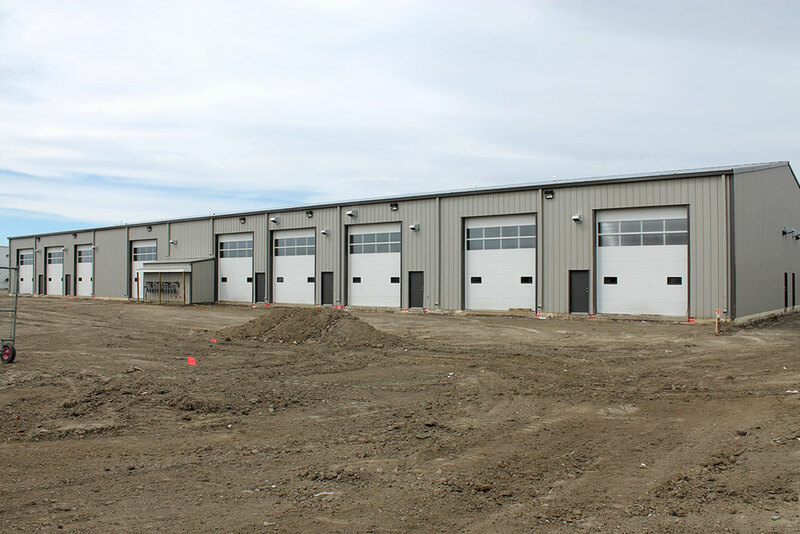 Sunward Steel Buildings, Inc. was pleased to fabricate and supply this pre-engineered metal building on behalf of a client in Rocky Mountain House, Alberta, Canada, in June of 2013. Nowadays, it operates as a shop for Ferrey Group Holdings, a trusted provider of industrial and commercial rental properties, and it features a broad mix of bay sizes businesses can rent to store commercial trucks, equipment and other goods and gear. Used frequently by businesses and industrial operations with interests in the surrounding region’s petroleum, agriculture and forestry industries, the building’s (11) separate rental units are available as short or long-term leases, and they range in size from 1,250 to 4,000 square feet. 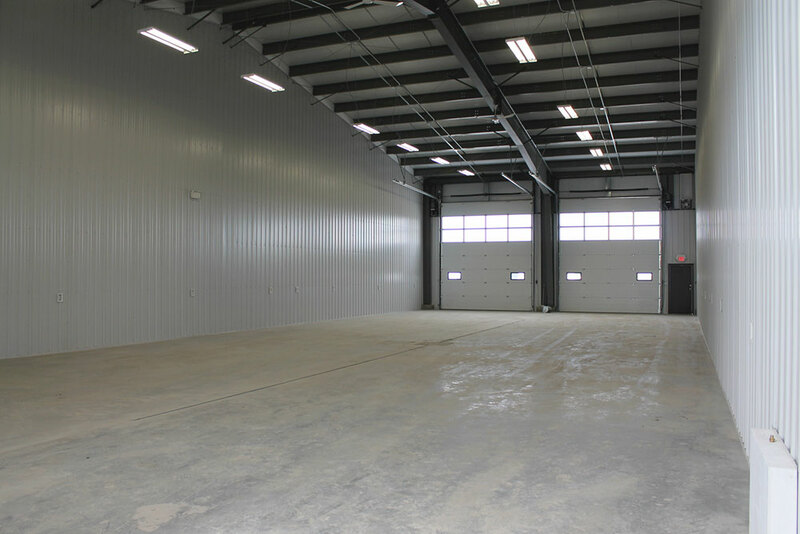 Comprised exclusively from premium-quality steel, the shop building stands 100’x240’18’ in size in total, covering an expansive 24,000 square feet of space. A rugged, corrosion-resistant Galvalume roof with a 2:12 pitch sits overhead, providing protection from the Canadian elements, while (23) framed openings serve as additional shop features, among them (12) 3’4”x7’2” openings and (11) 14’x15.3333’ overhead framed openings. 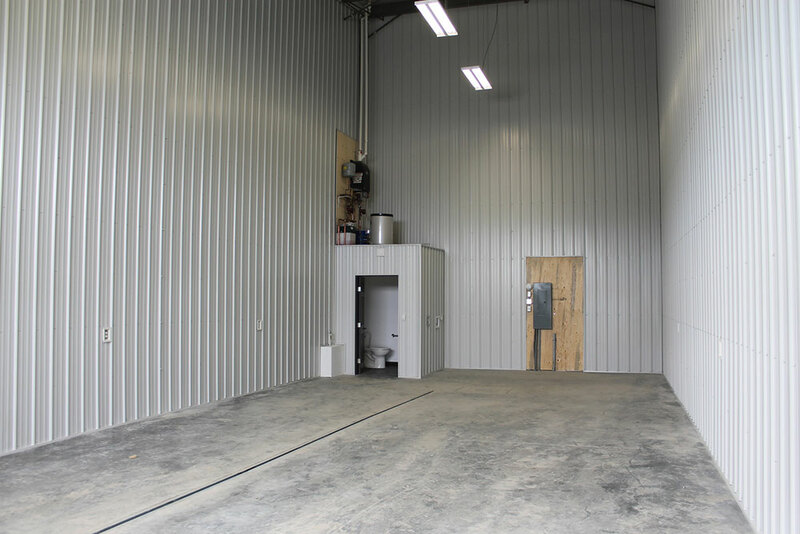 Inherently easy to maintain, steel shop buildings offer low operational costs, providing affordable storage and industrial opportunities for clients across a wide range of industries. In addition to maintaining its aesthetic appeal over time with little more than a quick occasional power wash, the shop building offers unmatched durability, standing strong in the face of heavy snowfall, strong winds, fire, pests and other potential construction hazards. 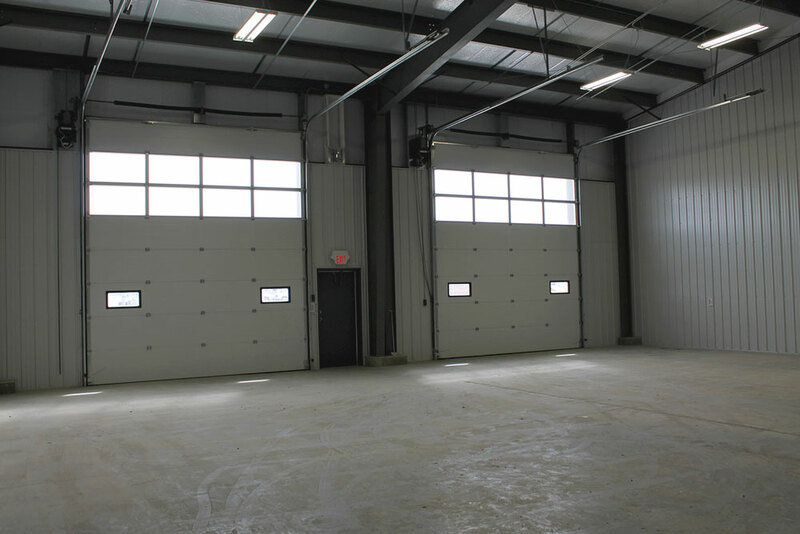 Ideal for storing vehicles, equipment or inventory, Ferrey Group Holdings’ commercial rental units come in varying sizes, accommodating businesses large and small. In addition to differing sizes, these rental units count bathrooms and power overhead doors among their key features. Located within west-central Alberta, Canada, the town of Rocky Mountain House is situated along the confluence of the Clearwater and North Saskatchewan rivers. It sits about 77 km west of the city of Red Deer and about 250 km, by car, from Edson. Considering purchasing a pre-engineered metal building for use in Canada or the United States?